Monday’s total solar eclipse will give scientists a rare opportunity to study the lower regions of the sun’s corona. Here’s what NASA scientists will be investigating. A total solar eclipse gives scientists a rare opportunity to study the lower regions of the sun’s corona. These observations can help us understand solar activity, as well as the unexpectedly high temperatures in the corona. Image via NASA/S. Habbal, M. Druckmüller and P. Aniol. A total solar eclipse happens somewhere on Earth about once every 18 months. But because Earth’s surface is mostly ocean, most eclipses are visible over land for only a short time, if at all. The total solar eclipse of August 21, 2017, is different – its path stretches over land for nearly 90 minutes, giving scientists an unprecedented opportunity to make scientific measurements from the ground. When the moon moves in front of the sun on August 21, it will completely obscure the sun’s bright face. This happens because of a celestial coincidence – though the sun is about 400 times wider than the moon, the moon on August 21 will be about 400 times closer to us, making their apparent size in the sky almost equal. In fact, the moon will appear slightly larger than the sun to us, allowing it to totally obscure the sun for more than two and a half minutes in some locations. If they had the exact same apparent size, the total eclipse would only last for an instant. The eclipse will reveal the sun’s outer atmosphere, called the corona, which is otherwise too dim to see next to the bright sun. Though we study the corona from space with instruments called coronagraphs – which create artificial eclipses by using a metal disk to block out the sun’s face – there are still some lower regions of the sun’s atmosphere that are only visible during total solar eclipses. Because of a property of light called diffraction, the disk of a coronagraph must block out both the sun’s surface and a large part of the corona in order to get crisp pictures. But because the moon is so far away from Earth – about 230,000 miles away during the eclipse – diffraction isn’t an issue, and scientists are able to measure the lower corona in fine detail. NASA is taking advantage of the August 21, 2017, eclipse by funding 11 ground-based science investigations across the United States. Six of these focus on the sun’s corona. Our sun is an active star that constantly releases a flow of charged particles and magnetic fields known as the solar wind. This solar wind, along with discrete burps of solar material known as coronal mass ejections, can influence Earth’s magnetic field, send particles raining down into our atmosphere, and – when intense – impact satellites. Though we’re able to track these solar eruptions when they leave the sun, the key to predicting when they’ll happen could lie in studying their origins in the magnetic energy stored in the lower corona. “We want to compare between the infrared data we’re capturing and the ultraviolet data recorded by NASA’s Solar Dynamics Observatory and JAXA/NASA’s Hinode satellite. The results from the camera will complement data from an airborne study imaging the corona in the infrared, as well as another ground-based infrared study led by Paul Bryans at the High Altitude Observatory. 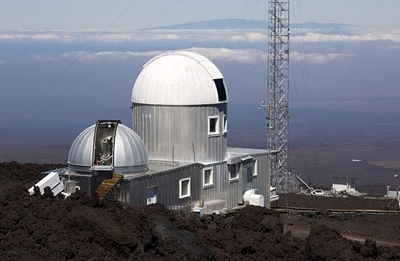 High Altitude Observatory. 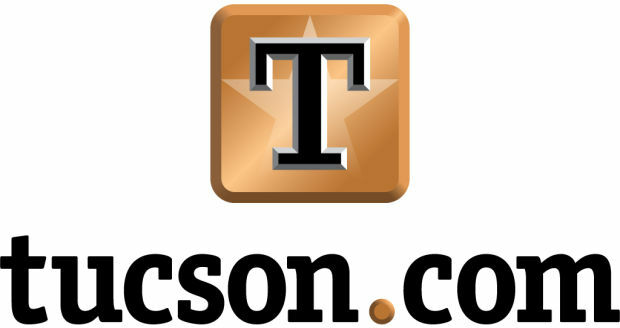 Hawaii location. This novel data will help scientists characterize the corona’s complex magnetic field — crucial information for understanding and eventually helping to forecast space weather events. The scientists will augment their study by analyzing their results alongside corresponding space-based observations from other instruments aboard NASA’s Solar Dynamics Observatory and the joint NASA/JAXA Hinode. In Madras, Oregon, a team of NASA scientists led by Nat Gopalswamy at NASA’s Goddard Space Flight Center in Greenbelt, Maryland, will point a new, specialized polarization camera at the sun’s faint outer atmosphere, the corona, taking several-second exposures at four selected wavelengths in just over two minutes. Their images will capture data on the temperature and speed of solar material in the corona. Currently these measurements can only be obtained from Earth-based observations during a total solar eclipse. To study the corona at times and locations outside a total eclipse, scientists use coronagraphs, which mimic eclipses by using solid disks to block the sun’s face much the way the moon’s shadow does. Typical coronagraphs use a polarizer filter in a mechanism that turns through three angles, one after the other, for each wavelength filter. The new camera is designed to eliminate this clunky, time-consuming process, by incorporating thousands of tiny polarization filters to read light polarized in different directions simultaneously. Testing this instrument is a crucial step toward improving coronagraphs and ultimately, our understanding of the corona — the very root of the solar radiation that fills up Earth’s space environment. NASA’s Solar and Heliospheric Observatory, or SOHO, constantly observes the outer regions of the sun’s corona. During the Aug. 21, 2017, eclipse, scientists will observe the lower regions of the sun’s corona to better understand the source of solar explosions called coronal mass ejections, as well as the unexpectedly high temperatures in the corona. Image via ESA/NASA/SOHO. The answer to another mystery also lies in the lower corona: It is thought to hold the secrets to a longstanding question of how the solar atmosphere reaches such unexpectedly high temperatures. The sun’s corona is much hotter than its surface, which is counterintuitive, as the sun’s energy is generated by nuclear fusion at its core. Usually temperatures go down consistently as you move away from that heat source, the same way that it gets cooler as you move away from a fire – but not so in the case of the sun’s atmosphere. Scientists suspect that detailed measurements of the way particles move in the lower corona could help them uncover the mechanism that produces this enormous heating. Mapping the inner corona in polarized light to reveal the density of elections is a critical factor in modeling coronal waves, one possible source of coronal heating. Along with unpolarized light images collected by the NASA-funded citizen science project called Citizen CATE, which will gather eclipse imagery from across the country, these polarized light measurements could help scientists address the question of the solar corona’s unusually high temperatures. Shadia Habbal of the University of Hawaii’s Institute for Astronomy in Honolulu will lead a team of scientists to image the sun during the total solar eclipse. 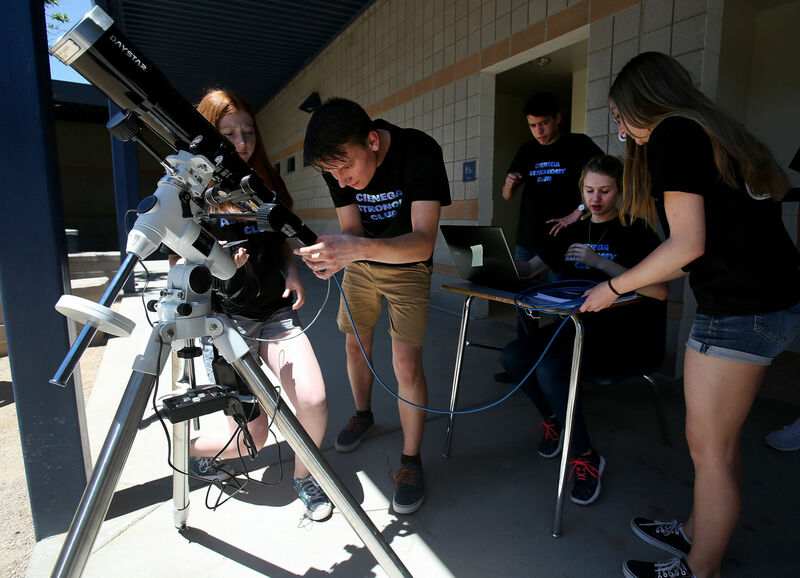 The eclipse’s long path over land allows the team to image the sun from five sites across four different states, about 600 miles apart, allowing them to track short-term changes in the corona and increasing the odds of good weather. They will use spectrometers, which analyze the light emitted from different ionized elements in the corona. 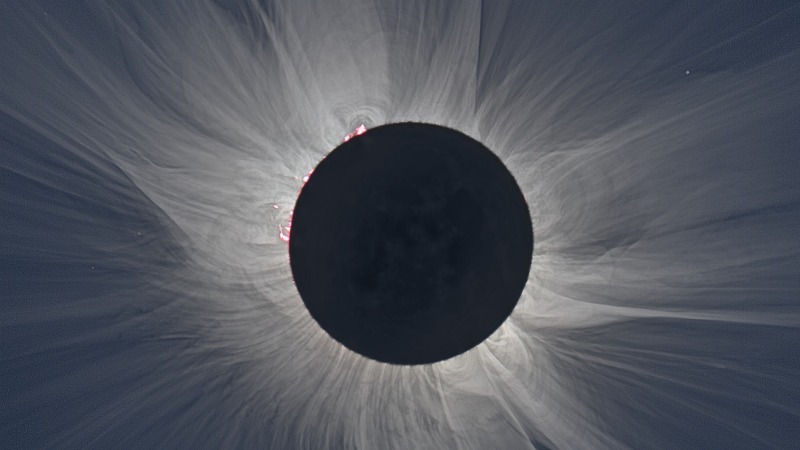 The scientists will also use unique filters to selectively image the corona in certain colors, which allows them to directly probe into the physics of the sun’s outer atmosphere. With this data, they can explore the composition and temperature of the corona, and measure the speed of particles flowing out from the sun. Different colors correspond to different elements — nickel, iron and argon — that have lost electrons, or been ionized, in the corona’s extreme heat, and each element ionizes at a specific temperature. By analyzing such information together, the scientists hope to better understand the processes that heat the corona. Amir Caspi of the Southwest Research Institute in Boulder, Colorado, and his team will use two of NASA’s WB-57F research jets take observations from twin telescopes mounted on the noses of the planes. They will ­­­­­capture the clearest images of the sun’s outer atmosphere — the corona — to date and the first-ever thermal images of Mercury, revealing how temperature varies across the planet’s surface. The movements of the stars and the planets have almost no impact on life on Earth, but a few times per year, the alignment of celestial bodies has a visible effect. One of these geometric events — the spring equinox — is just around the corner, and another major alignment — a total solar eclipse — will be visible across America on Aug. 21, with a fleet of NASA satellites viewing it from space and providing images of the event. Earth spins on a tilted axis. As our planet orbits around the sun, that tilt means that during half of the year, the Northern Hemisphere receives more daylight — its summertime — and during the other half of the year, the Southern Hemisphere does. Twice a year, Earth is in just the right place so that it’s lined up with respect to the sun, and both hemispheres of the planet receive the same amount of daylight. On these days, there are almost equal amounts of day and night, which is where the word equinox — meaning “equal night” in Latin — comes from. The equinox marks the onset of spring with a transition from shorter to longer days for half the planet, along with more direct sunlight as the sun rises higher above the horizon. In 2017, in the Northern Hemisphere, the spring equinox occurs on March 20. Six months later, fall begins with the autumnal equinox on Sept. 22. As Earth continues along in its orbit after the equinox, it eventually reaches a point where its tilt is at the greatest angle to the plane of its orbit — and the point where one half of the planet is receiving the most daylight and the other the least. This point is the solstice — meaning “sun stands still” in Latin — and it occurs twice a year. These days are our longest and shortest days, and mark the change of seasons to summer and winter. During the solstices, Earth reaches a point where its tilt is at the greatest angle to the plane of its orbit, causing one hemisphere to receive more daylight than the other. Image not to scale. As Earth goes around the sun, the moon is also going around Earth. There is a point each month when the three bodies align with Earth between the sun and the moon. During this phase, viewers on Earth can see the full face of the moon reflecting light from the sun — a full moon. The time between full moons is about four weeks — 29.5 days to be exact. Halfway between full moons, the order of the three bodies reverses and the moon lies between the sun and Earth. During this time, we can’t see the moon reflecting the sun’s light, so it appears dark. This is the new moon. Sometimes, during a full moon, Earth lines up perfectly between the moon and the sun, so its shadow is cast on the moon. From Earth’s viewpoint, we see a lunar eclipse. The plane of the moon’s orbit around Earth isn’t precisely aligned with the plane of the Earth’s orbit around the sun so on most months we don’t see an eclipse. The next lunar eclipse — which will be visible throughout much of Asia, Europe, Africa and Australia — will occur on Aug. 7. A solar eclipse happens when the moon blocks our view of the sun. This can only happen at a new moon, when the moon’s orbit positions it between the sun and Earth — but this doesn’t happen every month. As mentioned above, the plane of the moon’s orbit around Earth isn’t precisely aligned with the plane of the Earth’s orbit around the sun so, from Earth’s view, on most months we see the moon passing above or below the sun. A solar eclipse happens only on those new moons where the alignment of all three bodies are in a perfectly straight line. When the moon blocks all of the sun’s light, a total eclipse occurs, but when the moon is farther away — making it appear smaller from our vantage point on Earth — it blocks most, but not all of the sun. This is called an annular eclipse, which leaves a ring of the sun’s light still visible from around the moon. This alignment usually occurs every year or two, but is only visible from a small area on Earth. On Aug. 21, a total solar eclipse will move across America. While lunar eclipses are visible from entire hemispheres of Earth, a total solar eclipse is visible only from a narrow band along Earth’s surface. Since this eclipse will take about an hour and a half to cross an entire continent, it is particularly important scientifically, as it allows observations from many places for an extended duration of time. NASA has funded 11 projects to take advantage of the 2017 eclipse and study its effects on Earth as well as study the sun’s atmosphere. An eclipse is really just a special kind of transit — which is when any celestial body passes in front of another. From Earth we are able to watch transits such as Mercury and Venus passing in front of the sun. But such transits also offer a way to spot new distant worlds. When a planet in another star system passes in front of its host star, it blocks some of the star’s light — making it appear slightly dimmer. By watching for changes in the amount of light over time, we can deduce the presence of a planet. 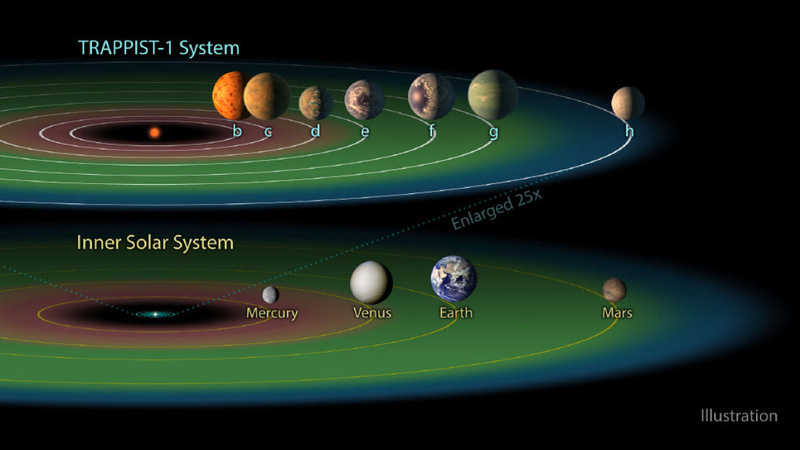 This method has been used to discover thousands of planets, including the TRAPPIST-1 planets. During a transit, a planet passes in between us and the star it orbits. This method is commonly used to find new exoplanets in our galaxy. Image not to scale.